What is / are your favourite weather? THE UNITED KINGDOM (UK) (The United Kingdom of Great Britain and Nothern Ireland): It is ‘a Country of Countries’. 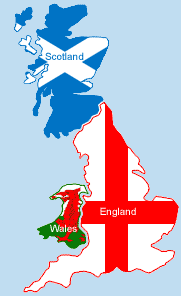 GREAT BRITAIN: Just 3 countries (Scotland, Wales and England). Different spelling but meaning and pronunciation will not change! i.e. I have tried every trick in the book to help you! e.g. I would not do that in my book. i.e. Soccer is played by the book. 4. Don’t judge a book by its cover! book by its cover. You have not even tried. Eat it. i.e. I am a bookworm. I love to read! 6. Hit the books: It means ”study”. e.g. I have got to hit the books today. There is a text tomorrow! 2. Permanent job: It means it can work till you decide whether you stay or not. e.g. I will work all my life. (Temporary # Permanent) = opposite. 4. Part-time job: It will only be working a few hours a week. i.e. I have got two jobs now because of working in a part-time job in the morning. Please! = In the wrong context. When giving or offering someone something. 4. Mixing up Present perfect with Past Simple. * It means that it is incorrectly. This is the place to learn English having fun // Este é o lugar para aprender Inglês divertindo-se.